Multiple Teams · Mar 13 Garrett Gray NCAA Champ! Congratulations to Tiffin University wrestler and Clay alum Garrett Gray for winning the NCAA Division II championship in the 285lbs. weight class. Garrett also won the award for Most Pins in the Shortest Time. Garrett closed out his college career as a 3x All-American. Way to go, Garrett!! Congratulations to senior Nick Henneman and freshman Kevin Contos for earning All-Ohio honors. Nick finished 4th in the state championships in the 138lbs. weight class while Kevin finished 6th in the 152lbs. weight class. Juniors Nick Daly (285lbs.) and Garret Anderson (145lbs.) also competed for Clay High School in the state championships. 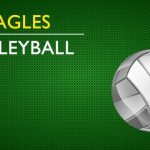 Way to go Eagles! 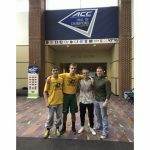 Multiple Teams · Oct 17 Clay and Fasset Wrestlers Compete at Super 32 in Greensboro N.C. The Oregon Eagle Wrestling Club will be conducting sign ups for the 2016-2017 season. Please click the link below in order to get the registration form and waiver or to obtain more information. If you have any questions contact Coach Cubb’s at 419-693-0665 ext 2186 (w), 419-350-2697 text call, or through e mail at RCubberly@oregoncs.org.